In the U.S. alone, more than a fifth of adult smartphone users now do most of their online browsing on their mobile device.1 Around the world, we’re seeing a similar trend towards more mobile browsing. That’s why we’ll be rolling out a new feature on Chrome for Mobile to help you reduce data usage and save money on your mobile plan. 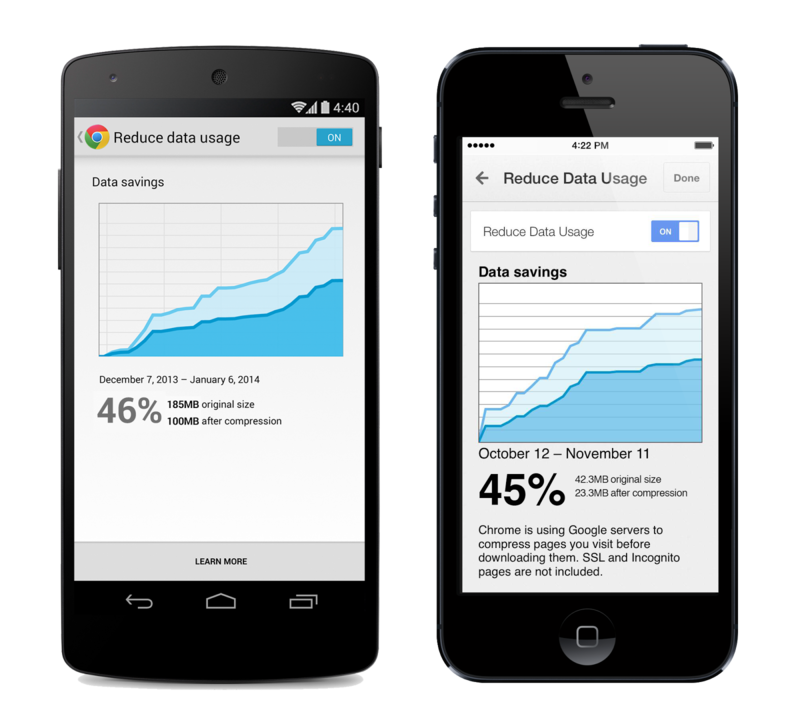 When enabled, Chrome’s data compression and bandwidth management can reduce data usage by up to 50% while browsing the web on Chrome for Android and iOS. This feature also enables Chrome’s Safe Browsing technology which helps protect you from malicious webpages. To start saving data and turn on an even more secure browsing experience, visit “Settings” > “Bandwidth management” > “Reduce data usage.” Then simply turn the toggle to “On.” From this menu, you’ll also be able to track how much bandwidth you save each month as you browse on Chrome. Lastly, this upcoming release of Chrome for Android will allow you to create shortcuts to your favorite websites right from your homescreen for faster and easier access to the web. When visiting a site you’d like to save, simply select “Add to homescreen” from the toolbar menu. Then anytime you’d like to open the saved website, just tap its icon on your homescreen. For certain websites, the shortcut will open in a full-screen experience and appear as a separate app in the Android app switcher. To try out these features on your Android and iOS devices, download the latest releases of Chrome for Mobile coming soon to the Play Store and App Store. These updates will be rolling out over the next few days. 1Source: Pew Internet Cell Internet Use 2013 report. More and more, we’re using our phones and tablets to discover great web content from all over the world. 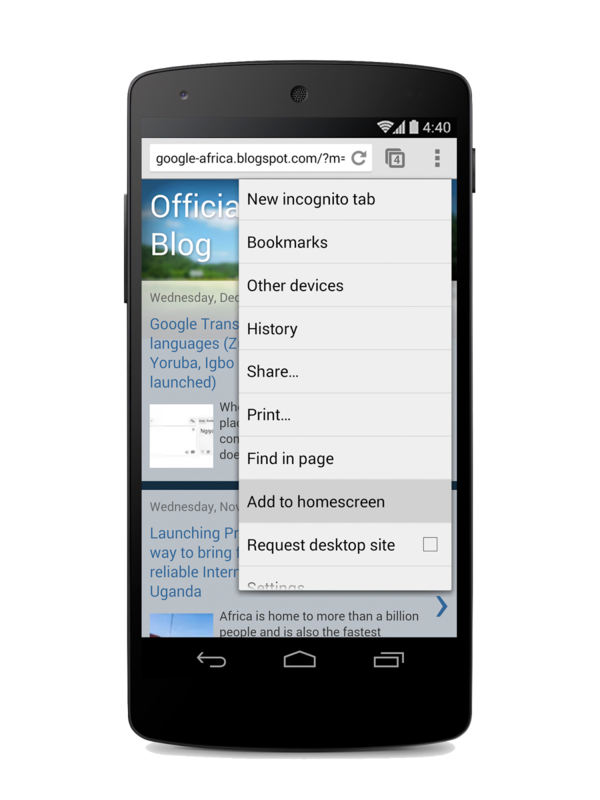 Today, a few new features in Chrome for Mobile make it easier for you to find and consume this content on the go.